We’ve recently covered such important topic as Magento 2 components, so it’s time to shed light on the Magento 2 Component Manager. Below, you will find a brief description of this solution, which is available in Magento 2 after you install the Magento application. The purpose of the component manager is simple – it helps to keep all modules, themes, language packages (Magento 2 components) up to date. Switch to the file system owner in Magento. To run the Magento 2 Component Manager in an appropriate way you should perform two important actions: set up cron and enter authentication keys. 4. Save the changes and close the editor. Now, you should get your authentication keys. If you already know them, skip this step. 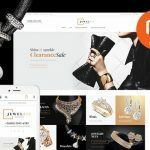 To get your authentication keys, you should create a Magento account on Magento Connect. 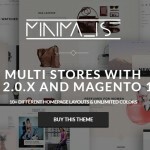 Please note that it is the same account you use on Magento.com. There is also a possibility that you already have your account there, so log in to the existing one. Find the Connect option and click it. Find the Developers section and choose the Secure Keys options. Now, you can generate a new key. In case of existing keys, use the Private key for your password and the Public key for your user name. It is also possible to create additional keys or regenerate the existing keys as well as delete or disable them. Congratulations! 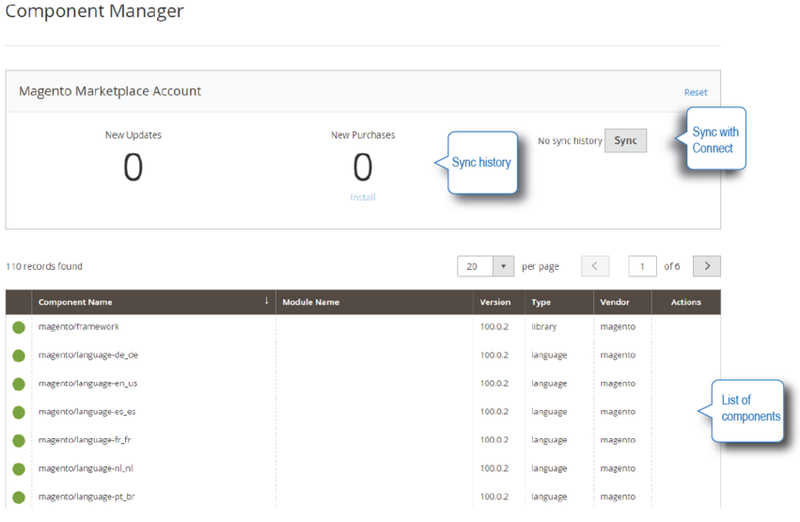 You are ready to run the Magento 2 Component Manager. Go to System > Web Setup Wizard. 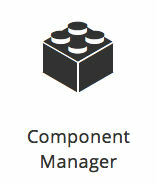 Choose Component Manager from the available options. Enter your authentication keys and continue with upgrading your components. 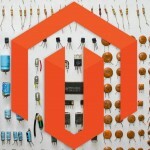 Under component we understand any type of component required in the Magento root directory. As for metapackage, it is used for group components – Magento CE and EE. The Magento 2 Component Manager provides the ability to perform different action on components depending on the condition of being metapackage and non-metapackage. For instance, non-metapackage modules can be enabled, disabled, updated, and uninstalled, while languages, themes, libraries, and components can be only updated and uninstalled. 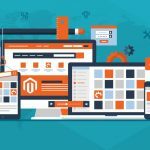 As for metapackage modules, they can be only enabled or disabled, while other components are updatable and uninstallable via the Magento 2 Component Manager. Select components you want to install. You can install everything in a bulk, or select individual components. This time you should click the sync button to check if component can be updated. Then, select the Update option from the list of actions and update your component via the Magento 2 Component Manager. In case of enabling or disabling components, choose the appropriate option among available actions in the appropriate column. The same is about the uninstallation procedure – you should choose the Uninstall option to get rid of a component. choose the Start Readiness Check option. In case of success, you can manage your components. For further information on Magento 2 Component Manager check this official documentation: Getting started with the Component Manager.